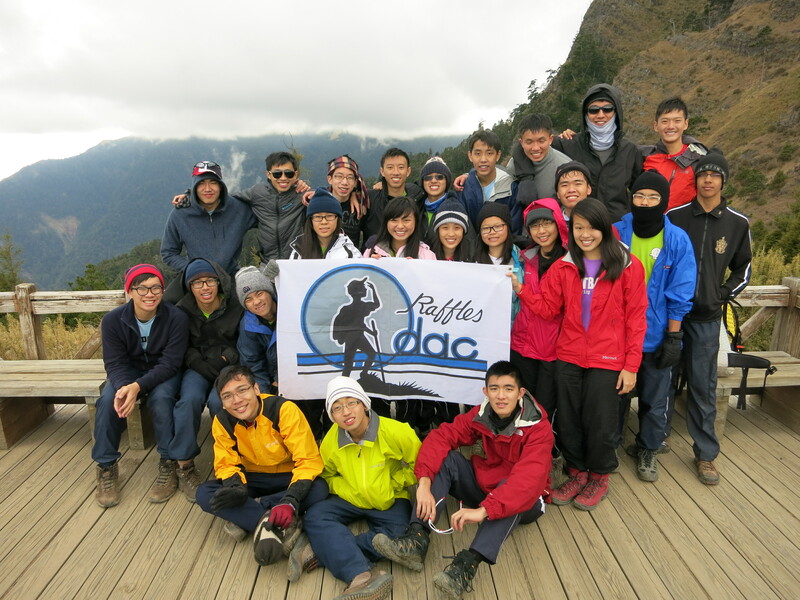 The Outdoor Adventure Club (ODAC) is made up of a community of people who love the outdoors, who dare to try new things and who look beyond themselves to work together towards a common goal. We ultimately aim to develop the character of every single ODACian and inculcate in every ODACian – respect, for oneself, for others, and for the environment, while using the outdoors as a medium. As the name suggests, ODAC takes part in a plethora of outdoor activities, such as overseas expeditions, kayaking, rock-climbing, hiking, cycling, mountain biking and many more. There are several key milestones that each ODACian has to go through – Basic Training Camp (BTC), June Expedition, Gear Up and last but not least December Expedition. As ODAC does not take part in any competitions, these milestones are an important assessment of the achievement of each batch. Therefore, ODACians are strongly encouraged to go for the weeklong expedition (usually 4D3N) during the June holidays as well as the longer expedition during the December holidays. Due to the nature of ODAC, it is preferred that ODACians do not sign up for enrichment programs as the overseas expeditions of ODAC tends to clash with the trips and activities of many enrichment programs, such as ALPS, ISLE, GCEP, BLP and LBA. Moreover, interested students should also take note that there is a cost involved in joining ODAC because of the price paid for our expeditions and personal equipment. Our training days fall on Mondays (4.30pm – 6.30pm) and Wednesdays (2.30pm – 6.30pm), with the longer durations usually used for external trainings around Singapore. 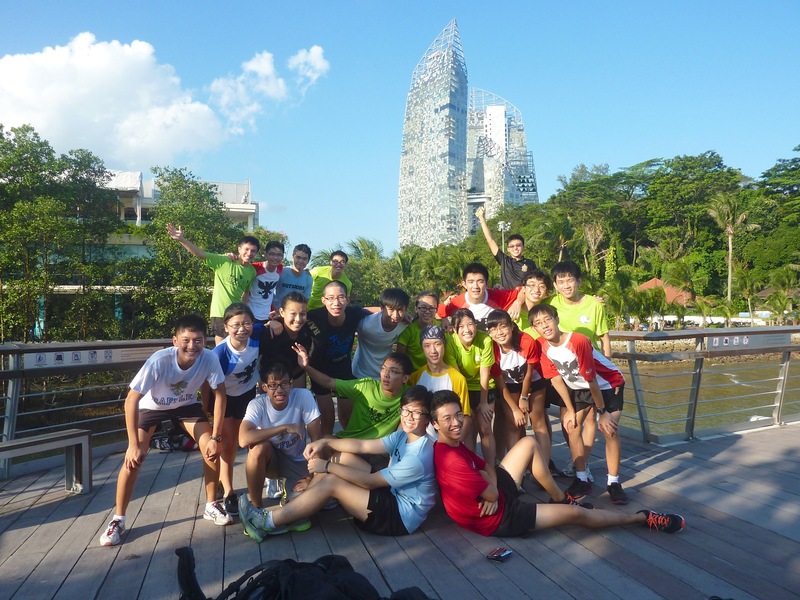 Training for our expeditions become a part and parcel of ODAC life. Running, static exercises, staircase climbing and Bukit Timah Hill trainings sometimes even with loaded backpacks are a familiar routine for all ODACians. This is to ensure that all ODACians attain a certain level of physical fitness, to eventually challenge ourselves in a way we have never before during the expedition. Of course, if you were to ask any ODACian, not all trainings are about building up our fitness levels, we do have many trainings having the outdoors incorporated into them. 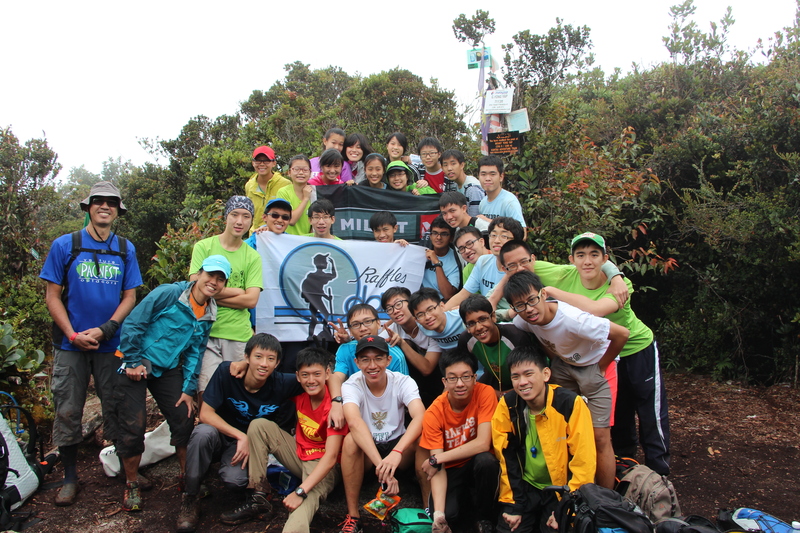 As a batch, we’ve trekked the Southern Ridges, the Pipe-A-Pipe trail, Macritchie and Peirce reservoir nature trails and many more. And for many of us, these are trails that we would have never gone on by ourselves. ODAC has brought us on a journey to discover the hidden gems of our very own country, with mesmerizing, breath-taking and picturesque scenery. Each batch of ODACians has entirely different experiences, embarking on different expeditions to various places each year. 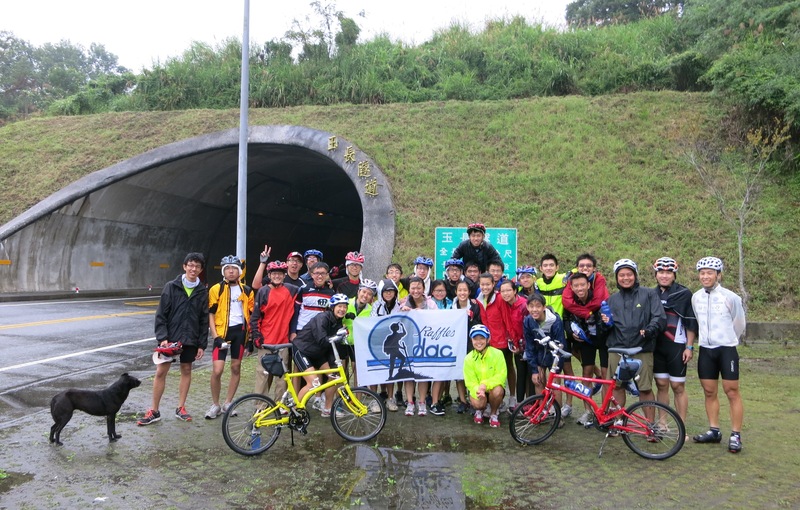 And for last year’s batch of ODACians, we scaled both the sixth highest mountain in Malaysia, the second tallest mountain in East Asia, and cycled more than 250km along the East coast of Taiwan. ODAC embraces the idea of ‘the path less chosen’, no doubt, some people might wonder whether it is worth lugging a 15kg backpack up and down a mountain when there are other sceneries out there that are much more accessible. To these people, we will now very frankly tell you that ODAC is not the CCA for you. We’re looking for the individual willing to step out of his/her comfort zone and continually challenge him/herself to better his/her skills, who has the mental strength to pull through difficult situations, who is a team player and cares for his/her batchmates, and most importantly, the individual who, at the end of the day, is are able to rejoice that he/she gets to be a part of what nature has to offer. But just to clarify, we aren’t looking for people with a do-or-die attitude, we’re looking for people willing to try and give it their best shot. And if you think that you’re up to that challenge, we welcome you to join the ODAC family.